Good grief, I have really fallen off the wagon as far as blogging goes. Sheesh. A few years ago, we went snow skiing. Just kidding. It was back in March. It just feels like years. I really wanted to share about our trip, but I just kept putting it off…it seemed like too much! If so, feel free to stop reading this at any point. I will never know. We went skiing in Beaver Creek, Colorado. I would highly recommend it. The runs were really nice, the lines for the ski lifts were never very long, and it was very family friendly. 5 stars! Here’s the view from the condo on day one. Gor-geous. Later that week, we had a big snow. Are you kidding me?! So beautiful. We all mentioned how everyone would be freaking out in Arkansas with this much snow; grocery store shelves would be emptied, generators would be sold out at Lowe’s. Not here! The weatherman was actually EXCITED about getting this much snow. Ha! Can you imagine? The kiddos were all decked out in their snowsuits, but never played in any actual snow. All dressed up for nothing at all! That’s a $7.00 hot chocolate in my hand. Worth every penny. That’s not me. That’s my sister. We borrowed each other’s pants. My sister, my mom, and David pretending like they were going to go down a Black Run. If they had, this would’ve been the last photo ever taken of them. This is what the kids did while we were skiing. Yay for game rooms in hotels! 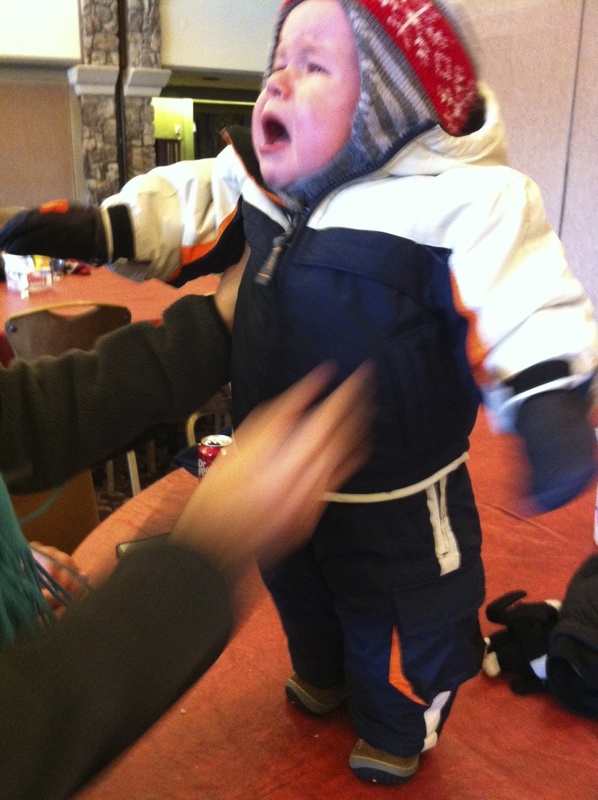 Although, it seems like Keagan really wanted to hit the slopes with us. She looks ready. On the last day of skiing, there was a blizzard. Michael took this picture with his phone while heading down the mountain. Those are kids in ski school. First of all, adorable. Second of all, CRAZY! You couldn’t see ANYTHING and it was miserable, but they were troopers! Yay for skiing. Maybe I won’t have to wait 10 years before we go again. 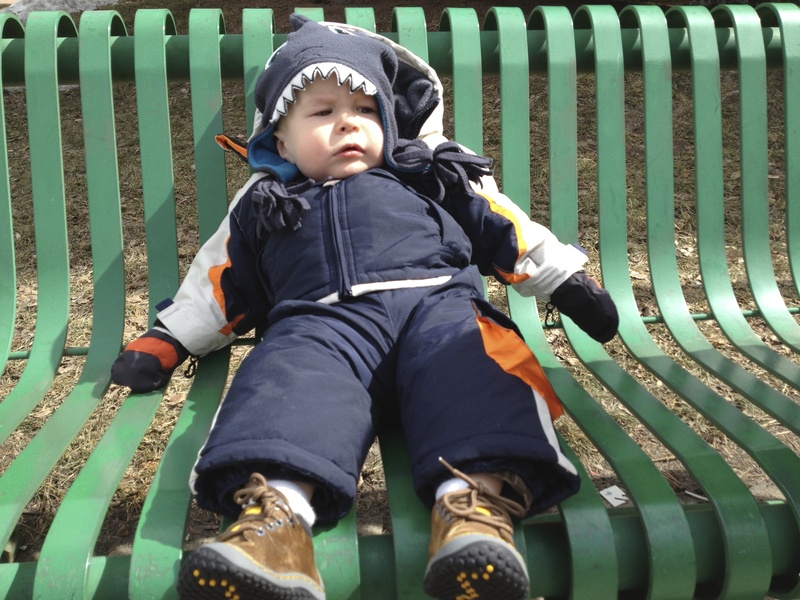 Maybe Bennett will be one of those kids in ski school and he’ll have a good reason to hate being in a snowsuit.